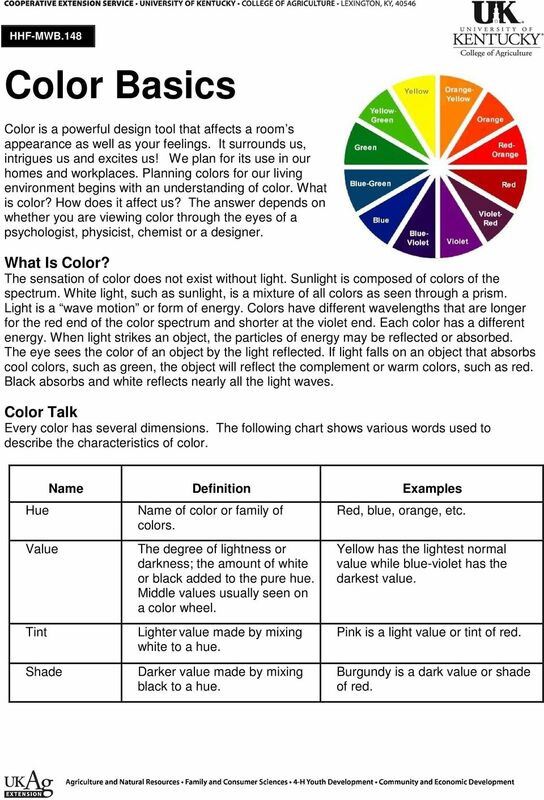 Download "Color Talk Every color has several dimensions. 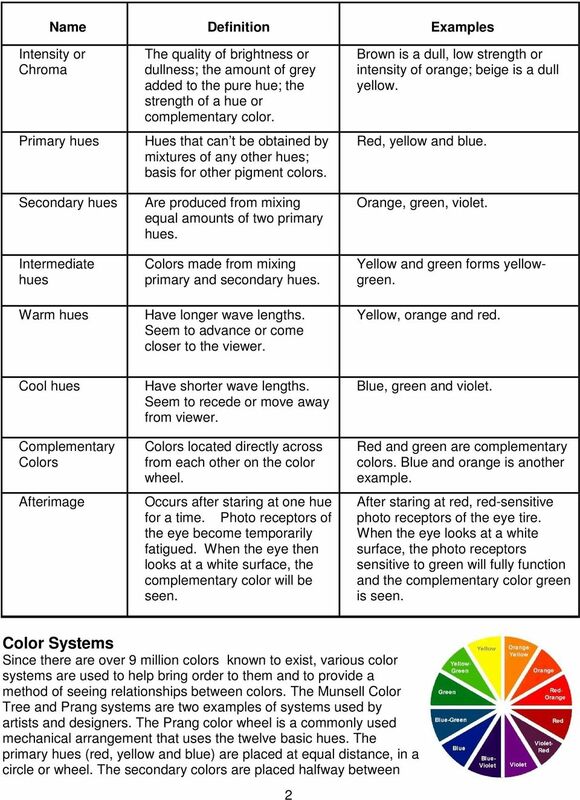 The following chart shows various words used to describe the characteristics of color." 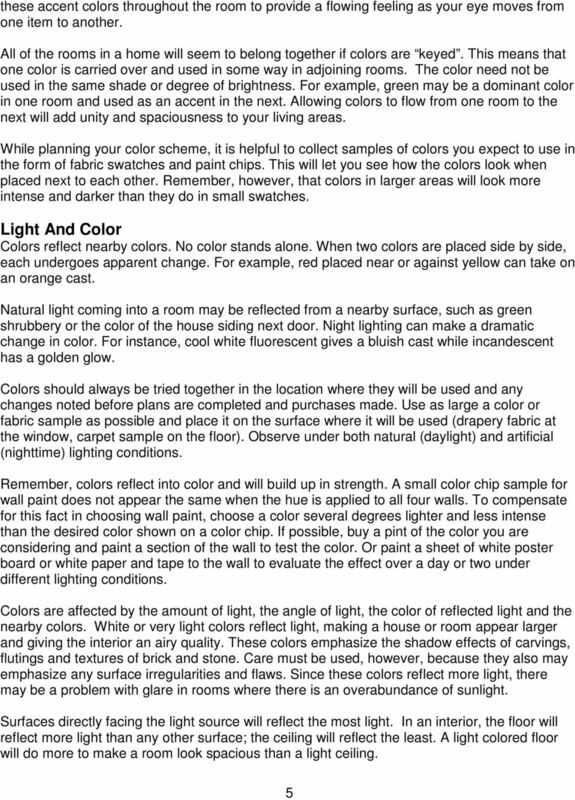 1 HHF-MWB.148 Color Basics Color is a powerful design tool that affects a room s appearance as well as your feelings. It surrounds us, intrigues us and excites us! We plan for its use in our homes and workplaces. Planning colors for our living environment begins with an understanding of color. What is color? How does it affect us? The answer depends on whether you are viewing color through the eyes of a psychologist, physicist, chemist or a designer. What Is Color? The sensation of color does not exist without light. Sunlight is composed of colors of the spectrum. White light, such as sunlight, is a mixture of all colors as seen through a prism. Light is a wave motion or form of energy. Colors have different wavelengths that are longer for the red end of the color spectrum and shorter at the violet end. Each color has a different energy. When light strikes an object, the particles of energy may be reflected or absorbed. The eye sees the color of an object by the light reflected. If light falls on an object that absorbs cool colors, such as green, the object will reflect the complement or warm colors, such as red. Black absorbs and white reflects nearly all the light waves. Color Talk Every color has several dimensions. 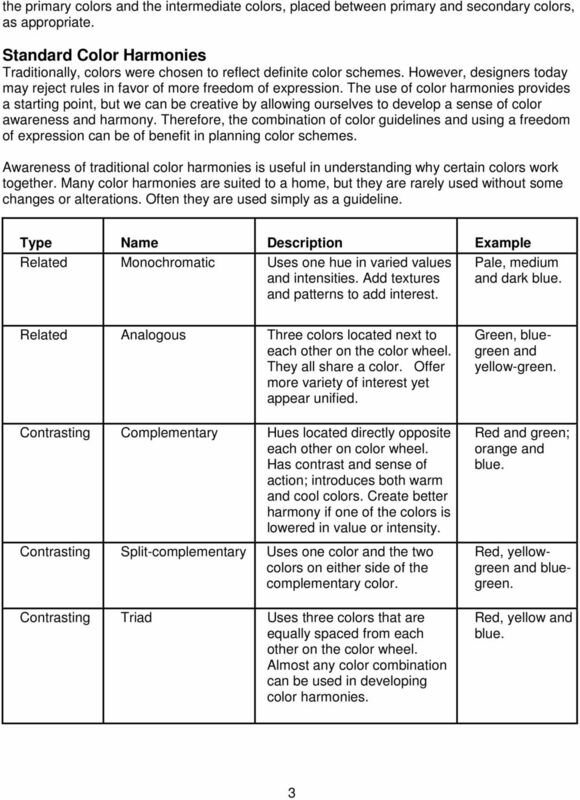 The following chart shows various words used to describe the characteristics of color. 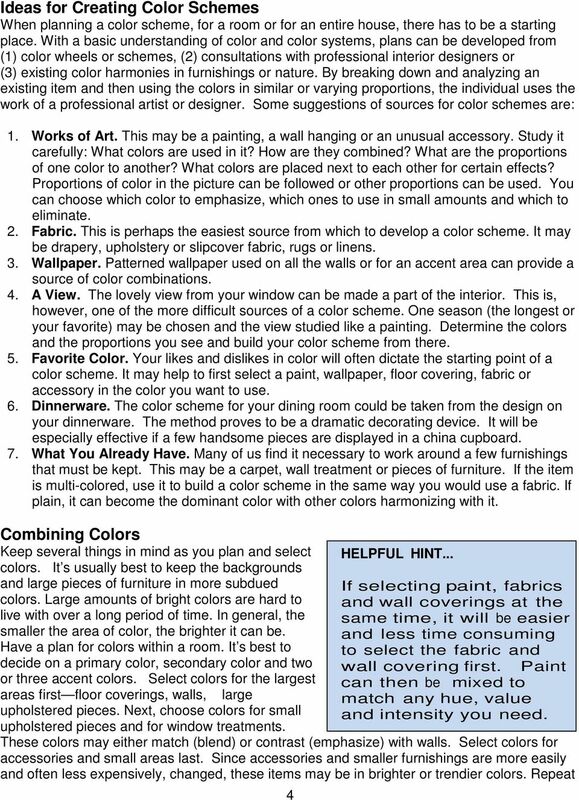 Hue Value Tint Name Definition Examples Name of color or family of colors. The degree of lightness or darkness; the amount of white or black added to the pure hue. Middle values usually seen on a color wheel. Lighter value made by mixing white to a hue. Red, blue, orange, etc. Yellow has the lightest normal value while blue-violet has the darkest value. Pink is a light value or tint of red. Shade Darker value made by mixing black to a hue. Burgundy is a dark value or shade of red. 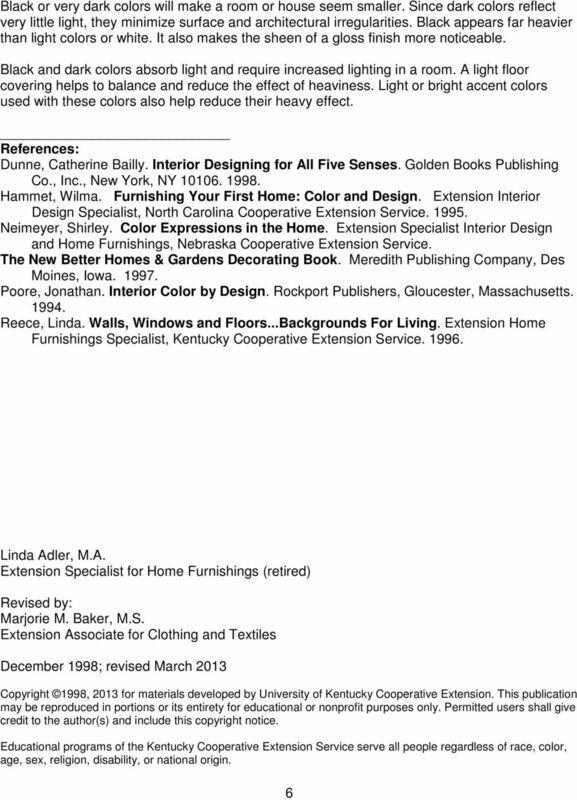 HHF-LRA.141FG Family Photos Care, Preservation, Identification, & Display Facilitator s Guide Objectives: 1. To develop awareness of the types of materials and methods of storage for family photographs.